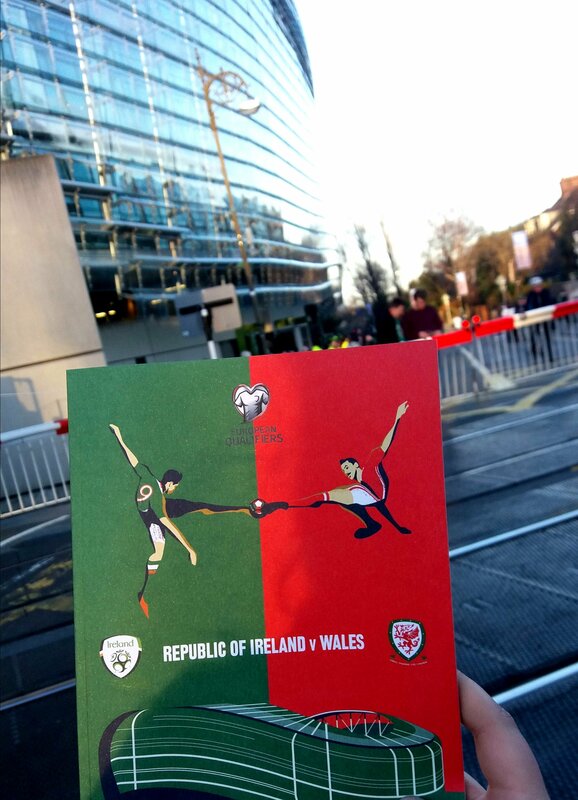 When it was announced that Wales would play Republic of Ireland in the qualifers for the World Cup the excitement ran through my veins at the thought of an away day in Dublin. This away day was eventful to say the least; sleeping at the airport and driving to London at 3am in the morning was only the start to this crazy trip. We started the journey with a 3-hour road trip to Luton Airport. Luton Airport was our only option to get to Dublin with thousands of Welsh fans flying out, Cardiff and Bristol out-priced us. Flying with Ryanair we had a return flight for £30. Who could turn that down? We left at 1am and just about got to the airport for our 6.30am flight. 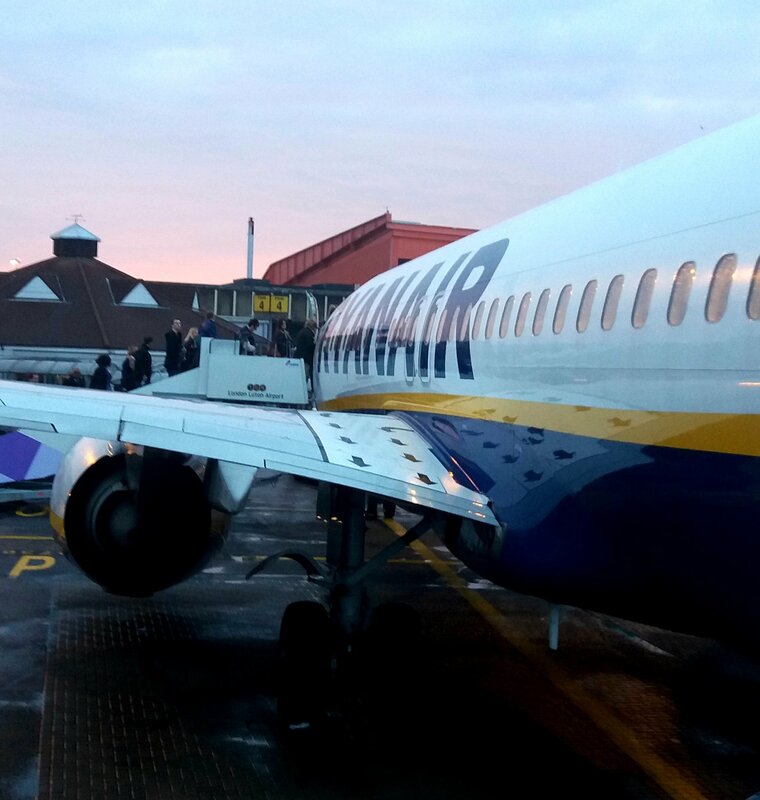 We got to Dublin early hours of Thursday morning, a day before match day. After getting to the hotel, of course the plan was to get some Guinness. 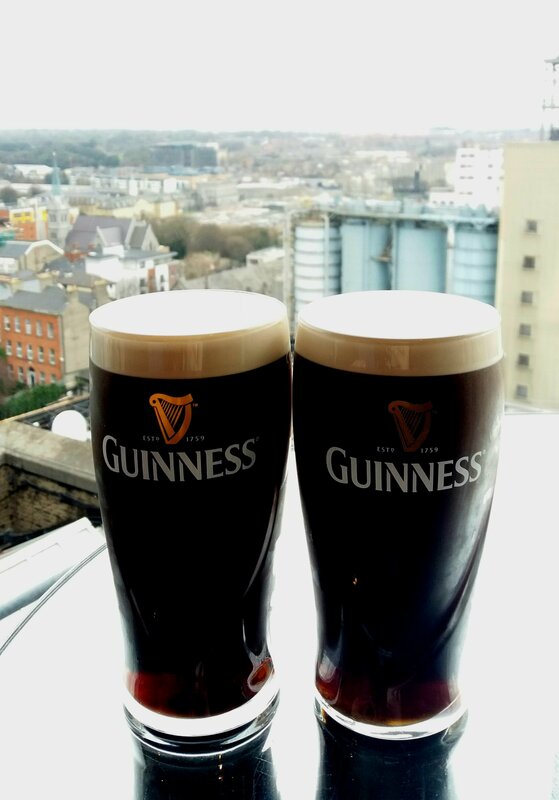 Where better than the Guinness Storehouse? We took a full tour around the warehouse, that also included a free pint of Guinness. Tip – Buy your ticket online for €15, otherwise it’s €25 when your there. During the tour there are seven levels. 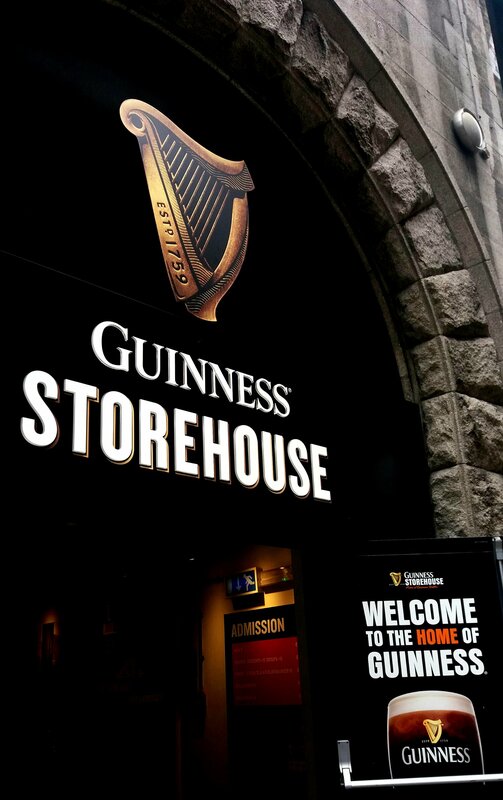 On the ground floor, your met with the official Guinness Retail Store. The first floor is focused on the history of Guinness. If your not interested in the history quickly head up onto the next level, that’s where you get your first taste of Guinness. Serving you an ice cold shot of Guinness, your tour guide gives you a tasting session. On to the 3rd floor it gets more interactive, with photo-booths and iconic adverts that have been showcased over the decades. Level four is the Guinness Academy, learn how to pour the perfect pint of Guinness. 5th floor consists of two bars – 1837 Bar & Brasserie and Arthur’s Bar. Take the elevator up to your last level, the Gravity Bar. 360° panoramic views panning from floor to ceiling glass windows that have the best view of Dublin. Don’t forget to head over the to bar for your free pint of Guinness. 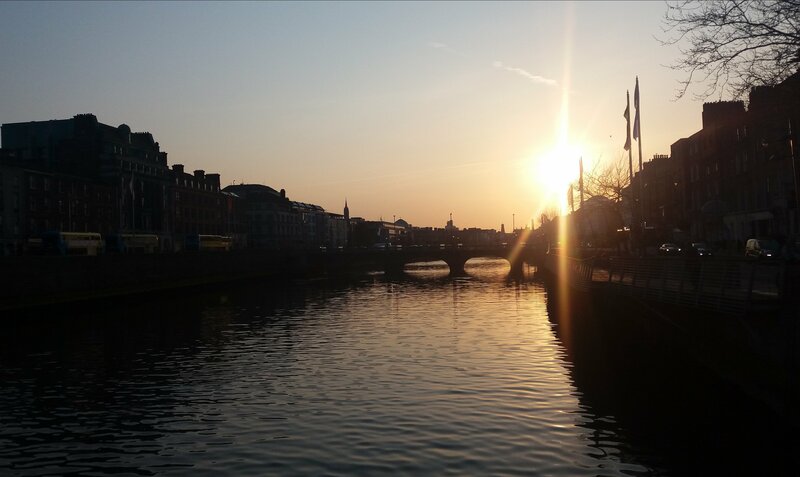 As we set of to explore the Temple Bar district, the sunset was setting over Dublin. While we decide to get something to eat before heading to the Temple Bar, whilst sat in the pub across from me I noticed a tattoo parlour. Little did I know an hour later I would be walking out of there with my first-ever tattoo, a small plane on my left foot. I still regret getting that done, but at least it’s something I’ll always remember from my time in Dublin. 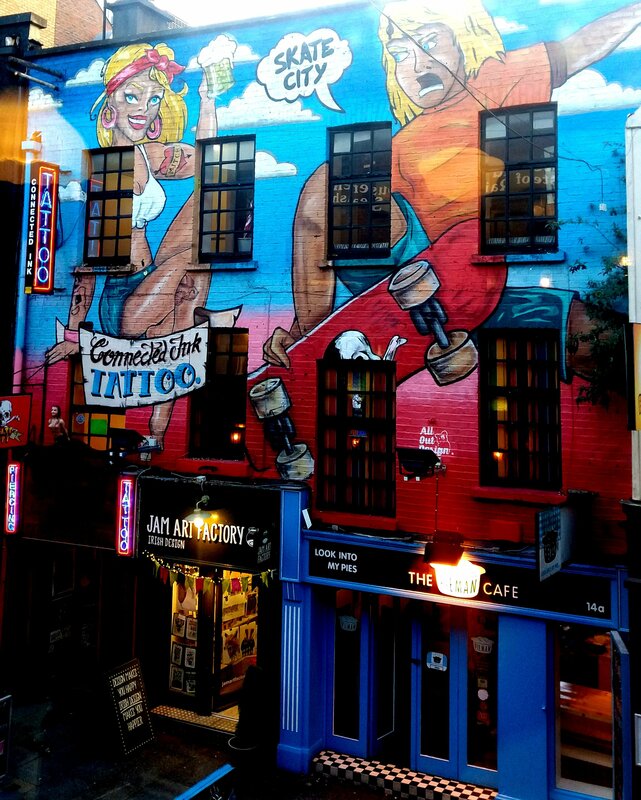 Don’t be an idiot like me and get a tattoo on the first day of your holiday, for the next two days I limping round Dublin, although it still didn’t stop me heading to the Temple Bar that night. 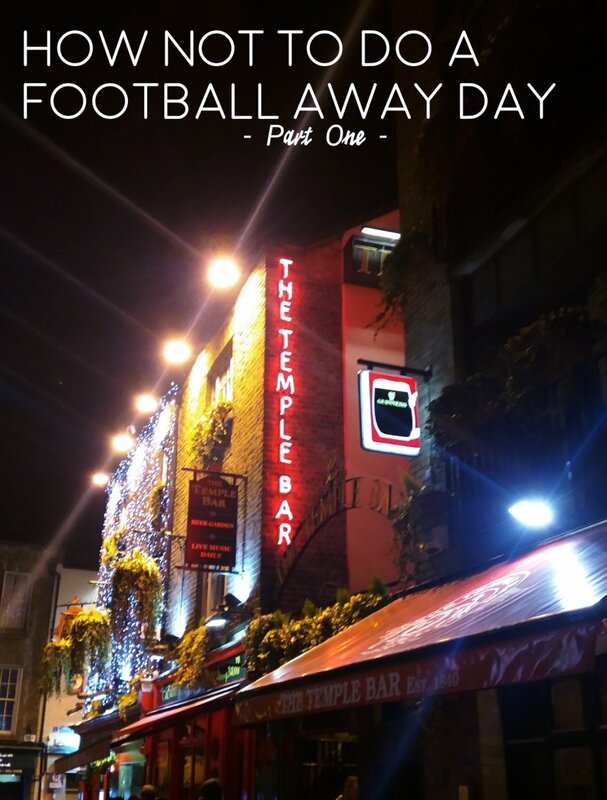 The Temple Bar… I have mixed opinions on it, is it really worth all the hype? Probably not. It’s €8 a pint but the atmosphere is electric, and the Irish can pretty much drink anyone under the table. 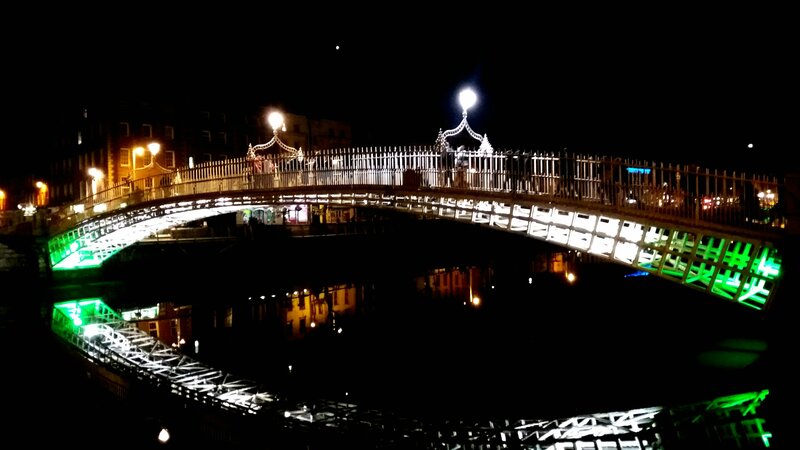 While near the Temple Bar take a stroll across the famous Ha’penny bridge and see the love locks. 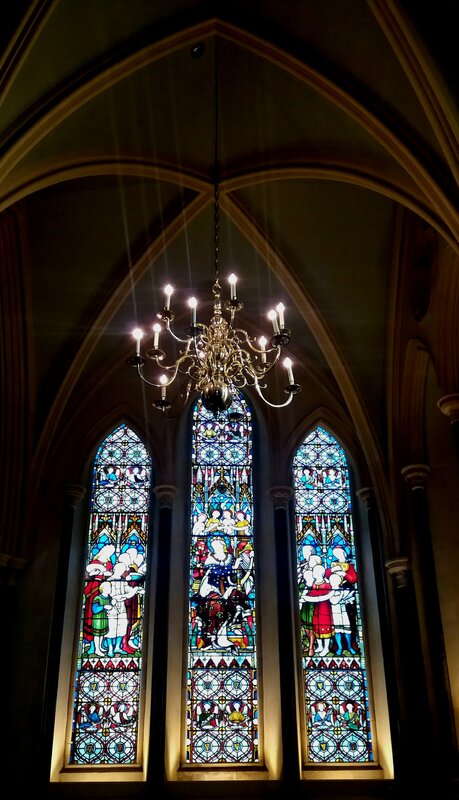 The morning of match day, we went to St Patrick’s Cathedral. Inside there are many activites to participtate in – the most lovely touch is the leaf tree. 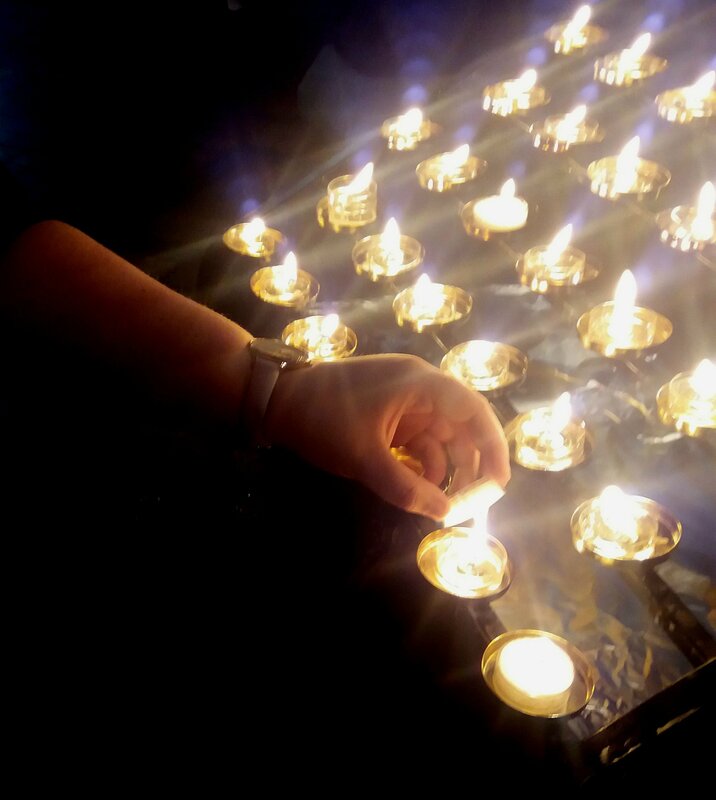 Write a note on a leaf for those lives you remember and also light a candle in memory of them. The entrance fee is €6. 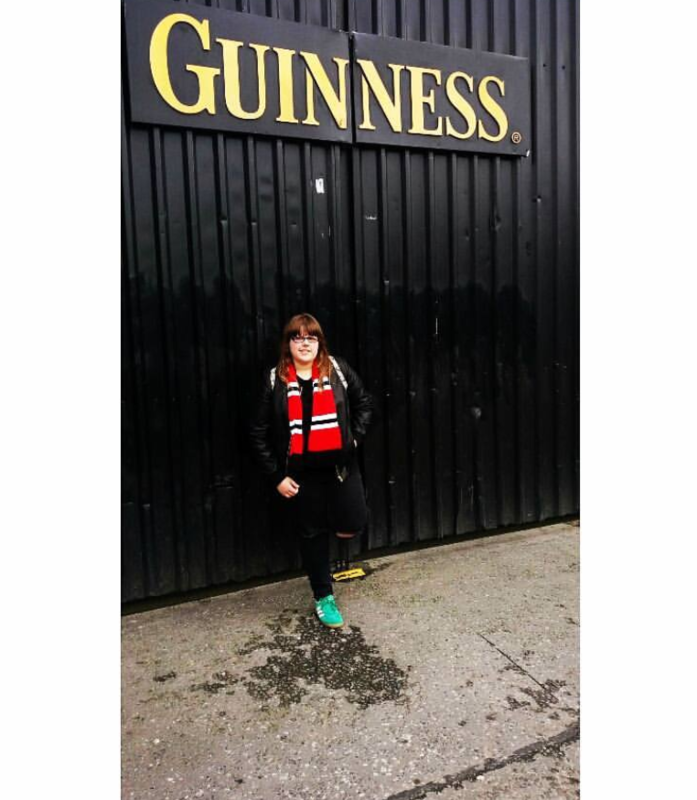 In the afternoon we headed to the stadium, the game was played at the Aviva Stadium, we were out in Dublin out on a total wim that we could somehow get tickets out there because the game was sold out. There were thousands out in Dublin without one and well with my luck I had no chance, fans were selling tickets from £500+. We had to go for the plan b option and that was to watch the game in The Hanger. Half of Wales must of been in this warehouse, majorly overcrowed and the place smelling of urine and lager, it was horrible. That’s where plan c had to come in, you’ve always got to have back-up plan cause whenever your traveling with me cause it’s guaranteed you’ll need one! Plan c? Find the first pub showing the game. Running through the streets of Dublin while the anthem was being played, we found one just on time. The game was a disaster, finished 0-0 and our player was sent off. It was around 11pm we had no hotel booked and our flight weren’t until 8am the next morning. We went to the Temple Bar until around 1am then straight to the airport. As I was sat awake at 4am, I looked around and realised that everyone was just as mad as me. There was a guy sleeping on the floor with his welsh flag wrapped round him, and in that moment, it made me proud to be Welsh. We will do ANYTHING to watch our team play.